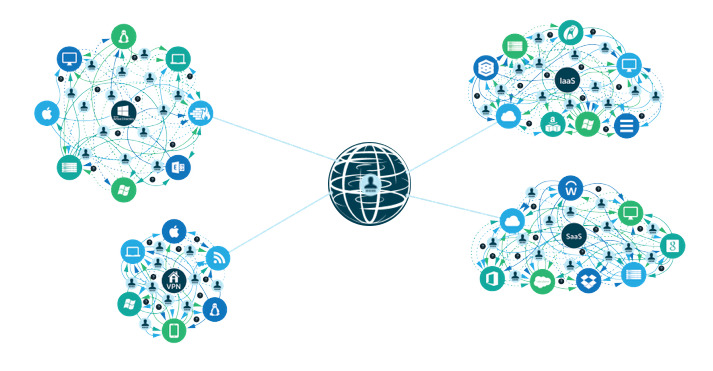 A decade ago, IT could centralize their identities around Active Directory®. That’s changed with cloud infrastructure and web apps, including AWS, G Suite, and Office 365. Add into the mix Macs, Linux, and Windows, and it is even harder to have a single place to manage identities. 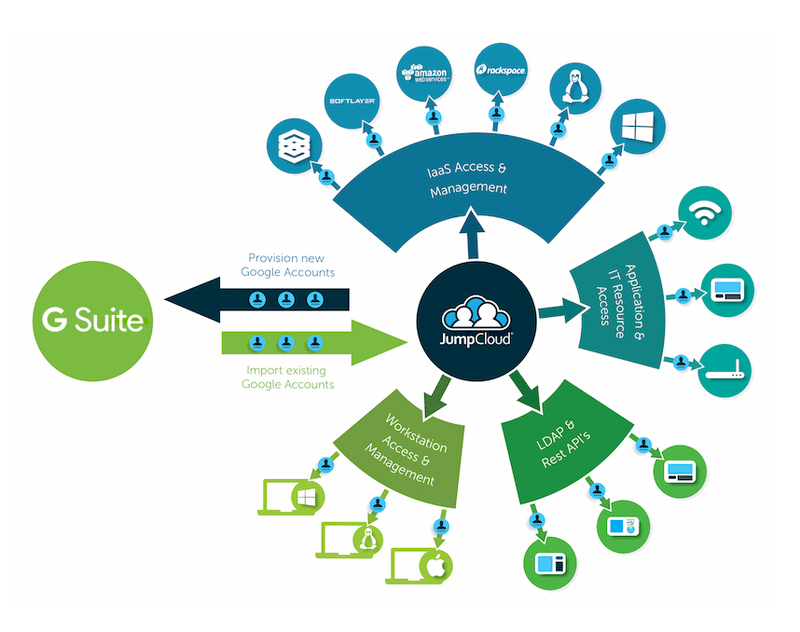 With JumpCloud Directory-as-a-Service®, you can make your G Suite or O365 identities the keys to all of your IT resources. 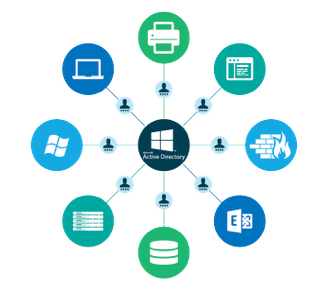 As a cloud hosted directory service, JumpCloud eliminates the need for an on-prem Microsoft Active Directory instance or LDAP. You simply import in your G Suite or O365 users and the cloud directory takes over as the authoritative source of your identities. Subsequently, those identities are federated to your laptops/desktops, cloud servers, on-prem and cloud applications, WiFi networks, and more. The benefit for end users is to reduce the friction and frustration of access to the IT resources their need. For IT admins, the benefit is to centralize identity control and increased security. If you want to get started, you can sign-up for a free JumpCloud IDaaS account and get started today. If you want more resources to help you understand how it works, keep reading below. Today, with the advent of next generation Identity-as-a-Service platforms, a modern version of True Single Sign-On is possible, even by leveraging G Suite or O365 credentials. 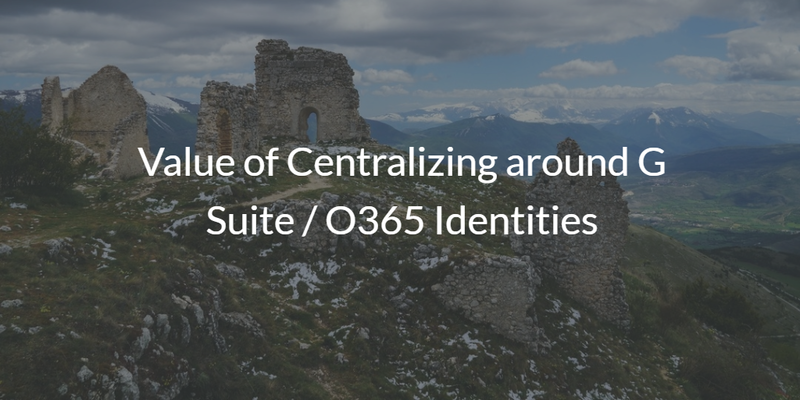 If you would like to learn more about the value of centralizing around G Suite or Office 365 identities, drop us a note. Alternatively, give our cloud hosted directory a try for yourself. It seamlessly integrates with G Suite and Office 365. In order to encourage people to give JumpCloud a try we offer the first 10 users free forever.